Smithee Zombie Hunter - Apocalypse – Yipee! Billy ain’t no fool! 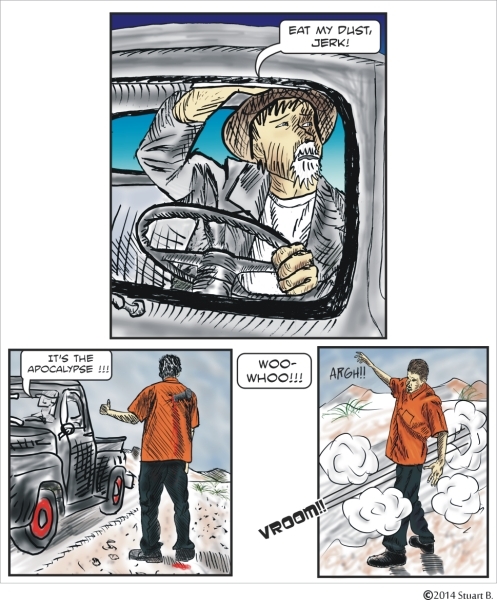 He is going to leave that strange orange clad dude in the dust! Meanwhile, he cheers to start of theZombie Apocalypse! This will be just the kind of world Billy has been looking forward to.